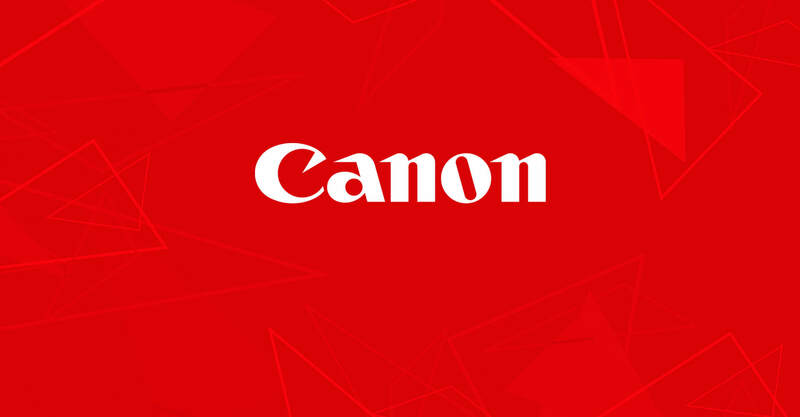 Canon is a leader in the imaging and optical market, including developing and manufacturing cameras, camcorders, photocopiers and computer printers for business and personal use. 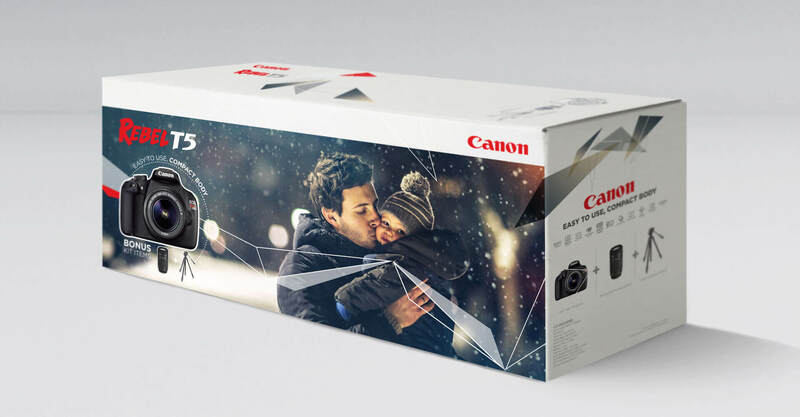 When they issued an RFP to have an agency develop new packaging designed to differentiate their camera bundle offerings on shelf, we jumped at the opportunity. Traditionally, SLR cameras were sold to avid amateur or professional photographers looking to purchase components separately, in order to control conditions through the use of interchangeable camera bodies, lenses and flashes. Purchasing these separately was not difficult for the camera buff who knew his stuff. 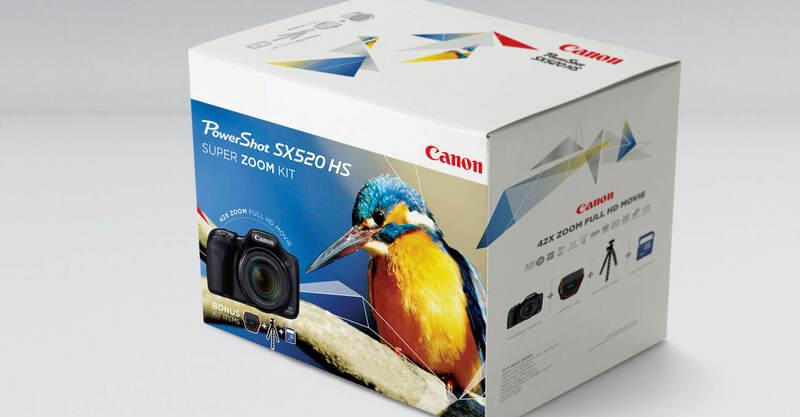 With the rise of digital, photography has become much less intimidating for consumers, and therefore people who would traditionally have opted for point-and-shoot solutions are now looking for better quality photographs, but still want the convenience of purchasing an out-of-the-box solution that meets their needs. The industry has taken the guesswork out of buying higher-end cameras by creating bundles that give the consumer the quality they’re looking for without needing to become a photography expert. The challenge we faced was how to speak to two very different consumer groups on the Digital SLR and Point-and-Shoot bundle packaging. the Digital SLR camera is designed for people looking to capture family moments with clarity and purpose, but also with ease of use. This camera is attractive to young families with small children and also to middle-aged people who want a product that will elevate the quality of the shots they take. Conversely, the Point-and-Shoot camera is all about portability, and connecting the mobile photographer to their social networks on the fly. It is travel ready, and the purchaser is willing to compromise on shot quality (somewhat) for the portability that the Point-and-Shoot offers. As such, it’s more attractive to twenty-somethings and retirees who spend more time road-tripping and jet-setting than they do at home with their families. 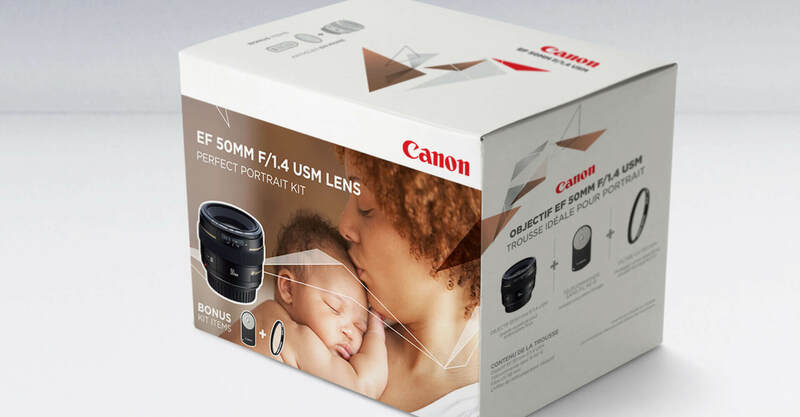 For the SLR bundle packaging, it was important for us to inspire the consumer with the photography, and to evoke the emotion of having outstanding photography of capturing life’s special moments. We chose to showcase the items in the bundles on the pack, with the bonus items featured around the hero shot of the camera, in order to communicate the value of the offering. 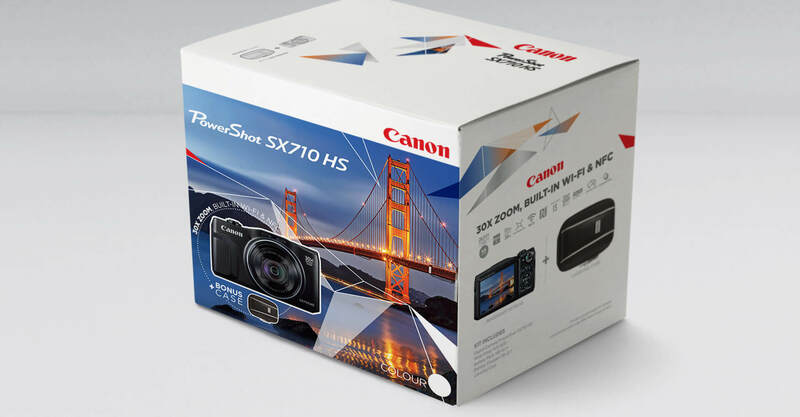 The Point-and-Shoot bundle packaging features photography of inspiring travel on pack, and communicates the “connected” features of the product, to reassure the consumer that they can use this camera to post to their social networks on the go. A Design for All Seasons: We later designed a seasonal bundle pack of accessory items that comes in a portfolio case; an inspired gift for the budding camera enthusiast. We elevated the perception of the packaging to make the product feel more expensive, so that it is something that someone would feel proud to give. 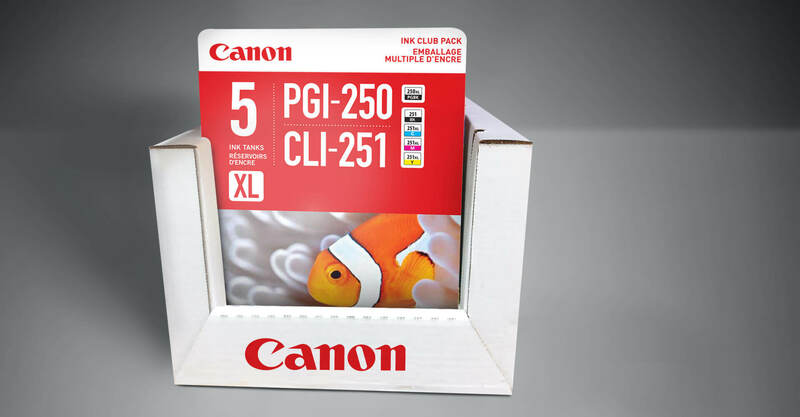 Understanding Ink: We also designed ink cartridge packaging for Canon, for their bulk retail offering. There were several critical required elements, the most important of which is the code, which consumers shop by first. 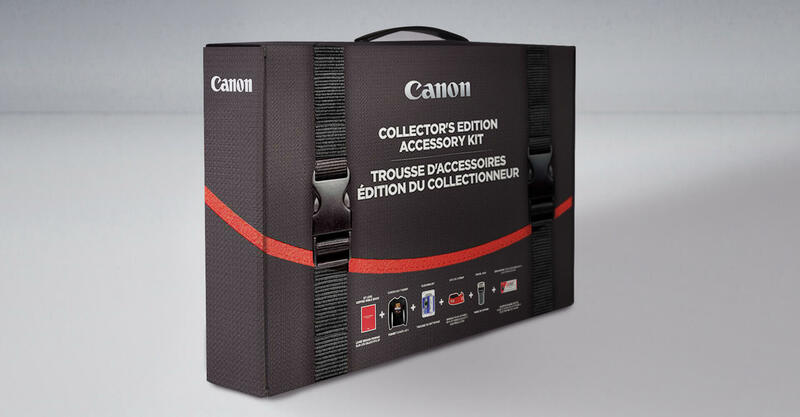 We wanted to quickly separate the Canon ink visually from their after-market competitors and did so by including a dominant red band across the packaging. We also wanted to emphasize the quality of genuine, authentic Canon ink which we did through the use of images of brightly coloured animals in their natural setting. These images capture the spirit of Canon’s digital reproduction quality in a way that is fun and engaging.